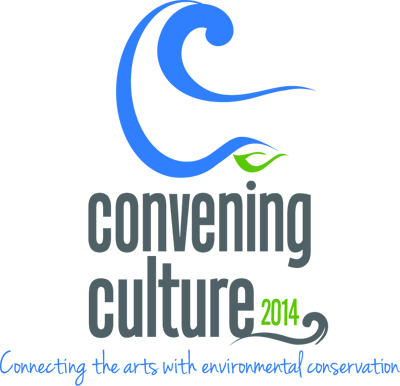 Convening Culture 2014 will take place January 28-29 at the Vero Beach Museum of Art. On January 29 during the statewide cultural conference, “Convening Culture 2014: Connecting the Arts with Environmental Conservation,” there will be multiple opportunities for Florida artists to present their work, meet other artists and patrons, and gain important career skills. One conference highlight for artists will be the two professional development sessions presented by the Creative Capital Foundation. Creative Capital is a national nonprofit organization dedicated to providing integrated financial and advisory support to artists pursuing adventurous projects in multiple disciplines. Through their Professional Development Program, which has been developed by artists for artists, Creative Capital has provided career, community and confidence building tools to help all artists become successful in their fields. In its first ten years, this program has reached more than 5,500 artists in 150 communities. The Florida Division of Cultural Affairs has been partnering with Creative Capital to present professional development workshops in Florida since 2007. Includes strategies and practical tips on how to most effectively use social media to communicate about your work and ideas; expand your audience, peer and professional network; and create a deeper connection with the general public. Provides perspectives on the important role artists can play in advocating for themselves, each other, and the field while explaining ways to develop support systems with other artists and strengthen connections between artists and non-arts partners. The Creative Capital sessions will be presented by Eve Mosher, an artist and interventionist living and working in New York City. Her works raise issues of involvement in the environment, public/private space use, history of place, cultural and social issues and our own understanding of the urban ecosystem. In addition to being a consultant/leader for Creative Capital’s Professional Development Program, Eve is an Assistant Professor at Parsons the New School for Design. Her public and community-based artworks have received grants from New York State Council on the Arts and New York Department of Cultural Affairs, both through the Brooklyn Arts Council and The City Parks Foundation. For a taste of the information presented by the Professional Development Program, visit Creative Capital’s The Lab blog. Spaces at Convening Culture are limited, so view the full schedule and register now at florida-arts.org/conveningculture. The original version of this article appeared in the November 2012 Cultural Connection, the newsletter of the Florida Division of Cultural Affairs. We encourage you to sign up for our mailing list to receive future updates. This entry was posted in Spotlight On and tagged arts administration, Convening Culture, Creative Capital, Creative Capital Professional Development Program, florida division of cultural affairs, Vero Beach by culturebuildsflorida. Bookmark the permalink.